This large particle contains a number of cellulose fibers still in a mat. It is coated with soot from the burnt oil. 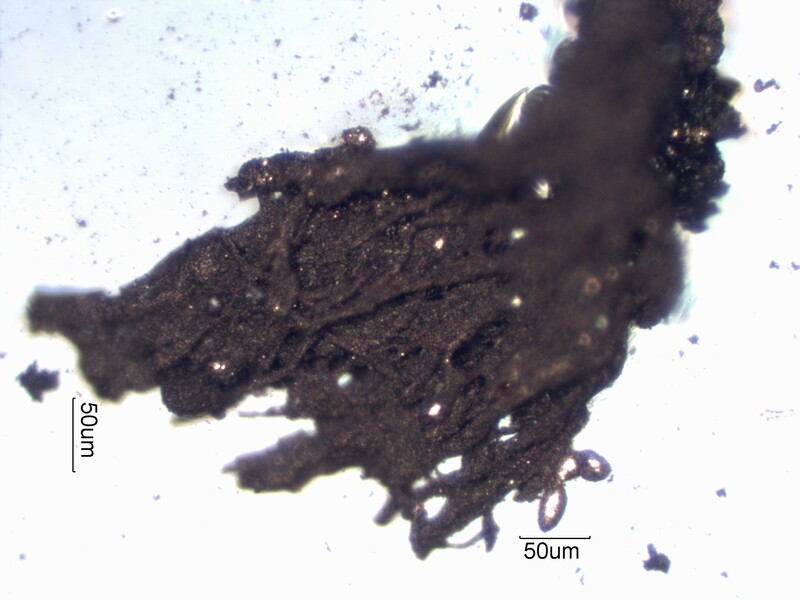 Charred paper consists of more than one charred paper fiber with the fibers in different orientations.